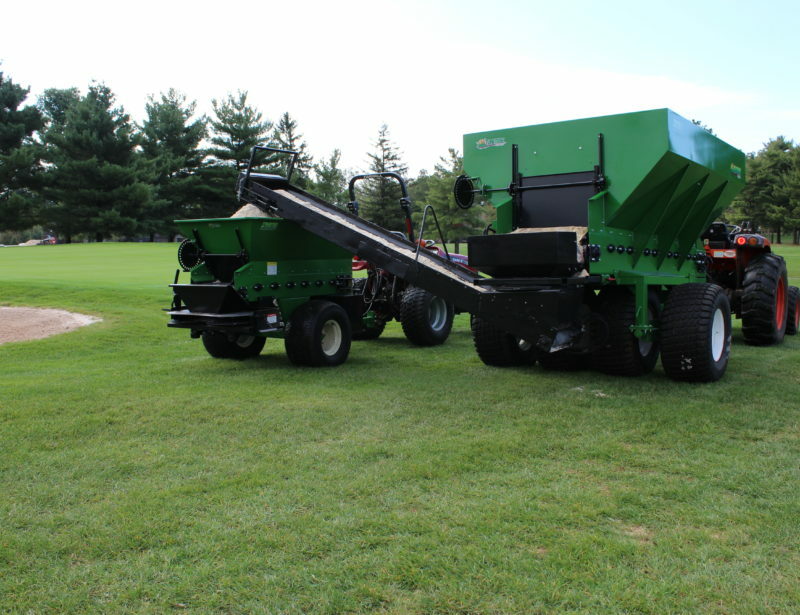 At TurfTime Equipment we designed the 3000 Series ADVANTAGE Top dressers to save time and cut topdressing maintenance costs. 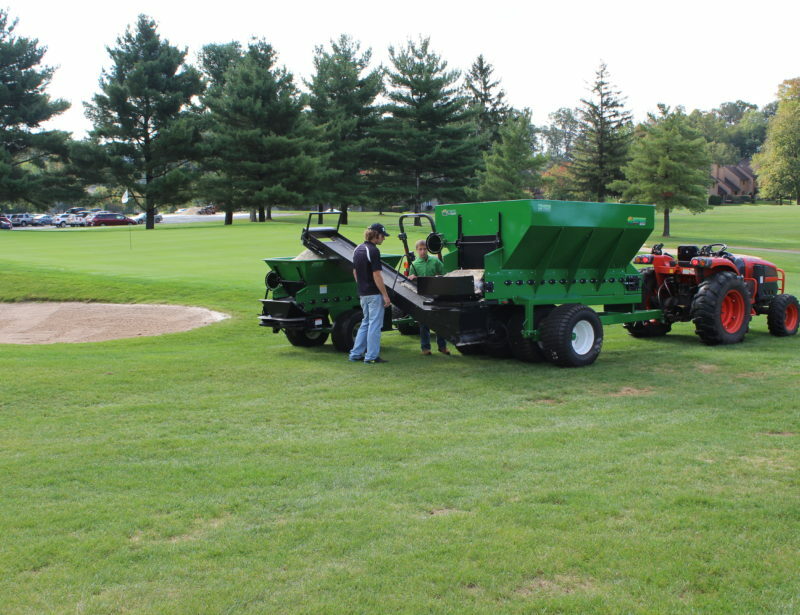 At TurfTime Equipment we designed the 3000 Series ADVANTAGE Top dressers to save time and cut topdressing maintenance costs. 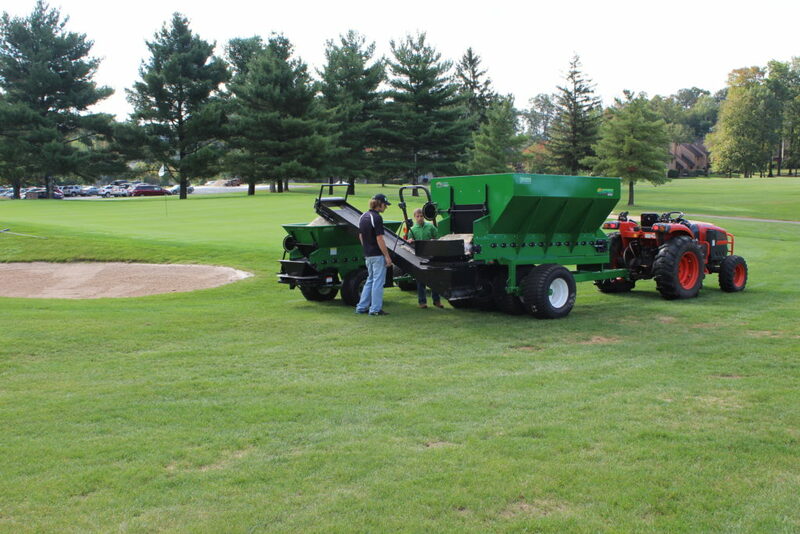 The large capacity ADVANTAGE 3000 series allows less trips to the top dressing materials pile. 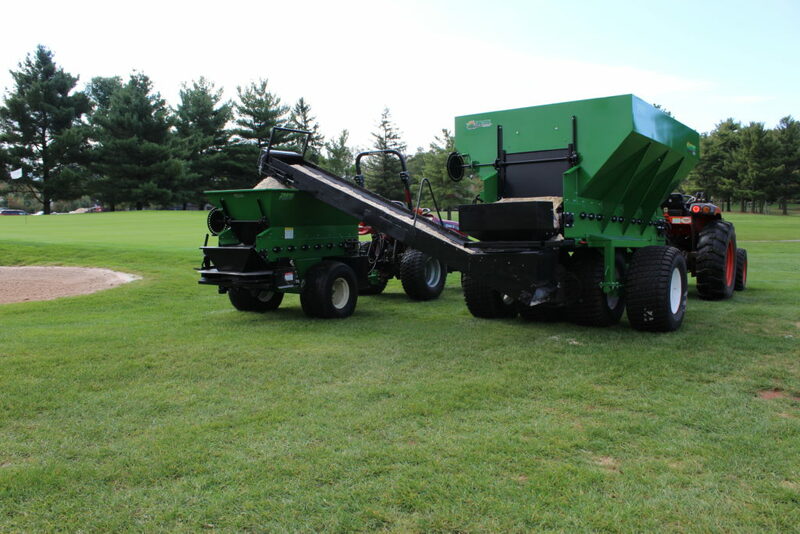 When spreading compost on a football field, top dressing fairways, topdressing sports complexes or adding soil amendments for sod farms or race tracks, these quality top dressers discharge materials faster than other spreaders. Save Time; Save Money. Don’t buy a used topdresser before you check out the great value of TurfTime Equipment topdressers. Click an image to enlarge or use left and right buttons to cycle images. Sign in and click on TurfTime Equipment to leave us a review!